GURUGRAM : Samsung India today launched Galaxy M20 and Galaxy M10 smartphones that have been designed ground up in the country for young millennials. Galaxy M series smartphones come with best-in-class infinity-V display and powerful features such as dual camera with ultra-wide lens, long lasting battery, high performance processors and a new Samsung Experience UX. Galaxy M20 and Galaxy M10 will be available on Amazon.in and Samsung.com from February 5, 2019. 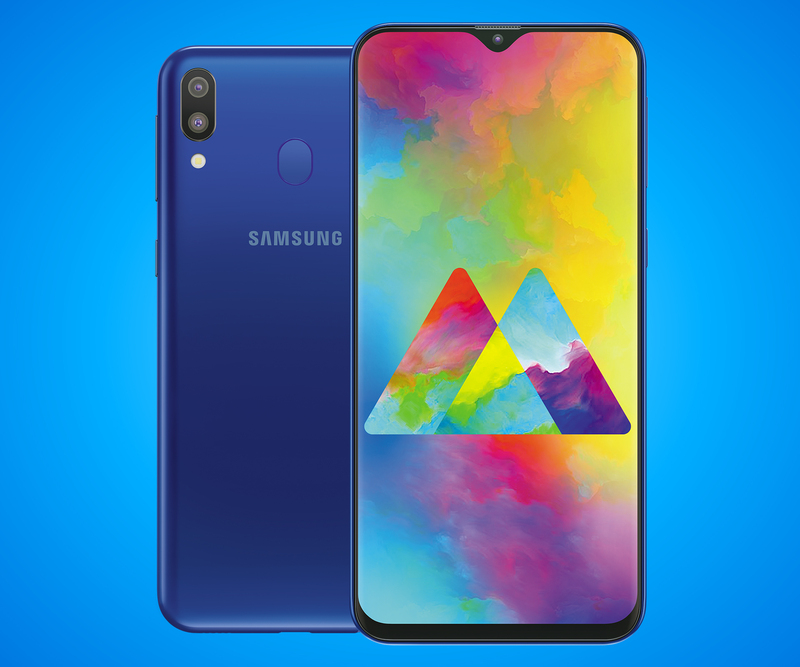 Galaxy M20 and Galaxy M10 will be available in Ocean Blue and Charcoal Black colours. Galaxy M20 will be priced at INR 12,990 for the 4GB+64GB variant, while the 3GB+32GB variant will cost INR 10,990. Galaxy M10 is priced at INR 8,990 for the 3GB+32GB variant and INR 7,990 for the 2GB+16GB. Galaxy M20 comes with a true FHD+ 6.3” FHD+ infinity-V display, while Galaxy M10 has a HD 6.2” HD+ infinity-V display ensuring truly immersive viewing experience. Both Galaxy M20 and Galaxy M10 come with Widevine L1 certification for seamless streaming of HD content through popular apps. To ensure non-stop streaming of music and video, Samsung has packed a powerful 5000 mAh battery in Galaxy M20. Galaxy M20 is powered by Samsung’s latest Exynos 7904 octa-core processor that enhances user experience through excellent network speed, smooth multitasking and low power consumption. Galaxy M10 is powered by Exynos 7870 octa-core processor. Both Galaxy M20 and Galaxy M10 sport dual rear camera, with ultra-wide feature. Both Galaxy M20 and Galaxy M10 come with a 13MP primary rear camera that has F1.9 aperture. Both Galaxy M20 and Galaxy M10 come with dedicated storage slot expandable to 512GB and will have dual SIM VoLTE support.